Calgary NDP MLA Stephanie McLean has resigned, after previously saying she wouldn't seek re-election. Former Alberta cabinet minister Stephanie McLean has resigned, after previously saying she wouldn't seek re-election. Premier Rachel Notley posted on Facebook just before 10 p.m. Wednesday that she's received notice the Calgary-Varsity MLA had resigned from her position. "We wish Stephanie and her family all the best in their future endeavours," Notley wrote. In May, McLean said that she wouldn't be seeking re-election, saying she planned to pursue her law practice instead. McLean was formerly minister for the status of women and Service Alberta. 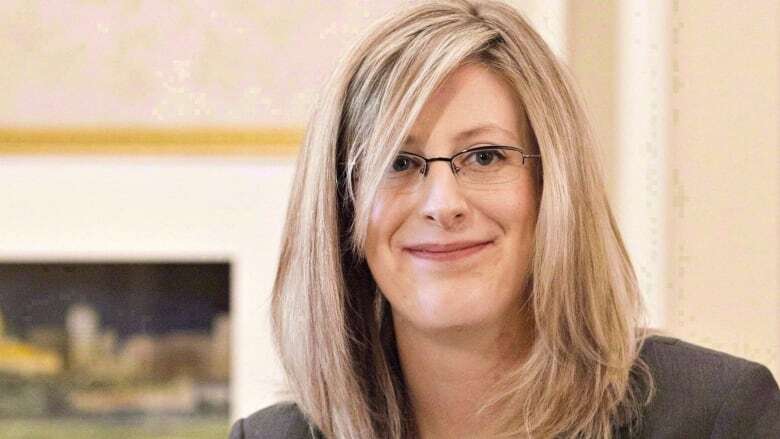 In a statement, McLean told CBC News her resignation was effective immediately and that she is pursuing a job offer with a law firm. McLean was on leave for the entire fall session, the speaker's office confirmed to Radio-Canada in November. The legislature wrapped its final sitting of 2018 in December, and it's not yet known if the current legislature will hold another sitting before the spring election. McLean made history as the first MLA in the province to give birth while holding office.